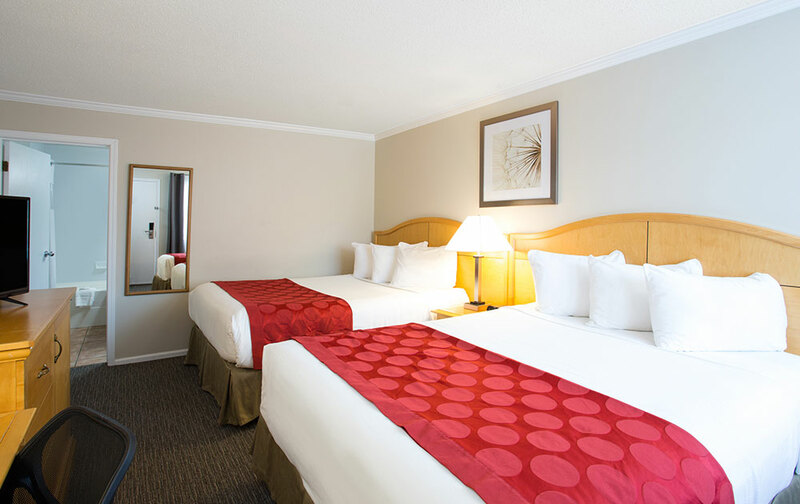 If you’re looking for incredible hotel accommodation in Duncan that won’t cost you an arm and leg, you’ve found it right here at Ramada Duncan! 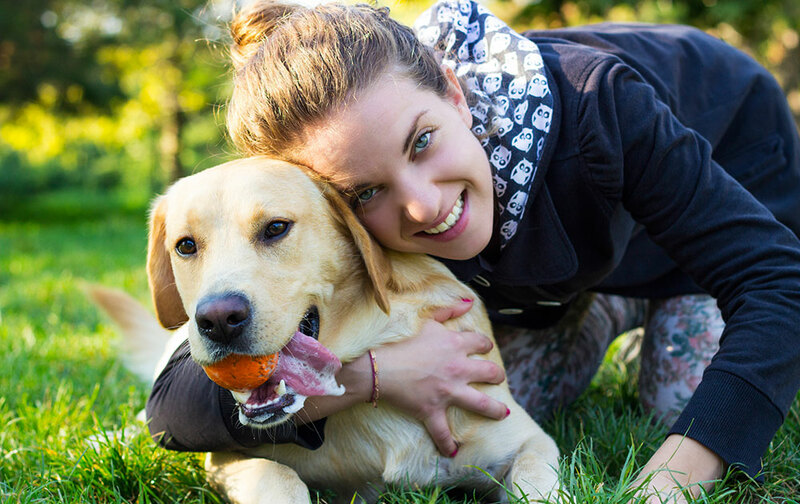 With tasteful rooms and suites for every need and budget, our friendly hotel staff will make sure you have everything you need, including pet accommodation. Each room and suite features complimentary high speed Wi-Fi, a Keurig coffee maker with complimentary K-Pods and HD digital cable channels on a flatscreen TV, as well a host of convenient hotel amenities. Families will love our fun Family Suite option, complete with a kitchen and bunk beds. We also offer classic Queen and King Rooms for guests in town on extended stays. 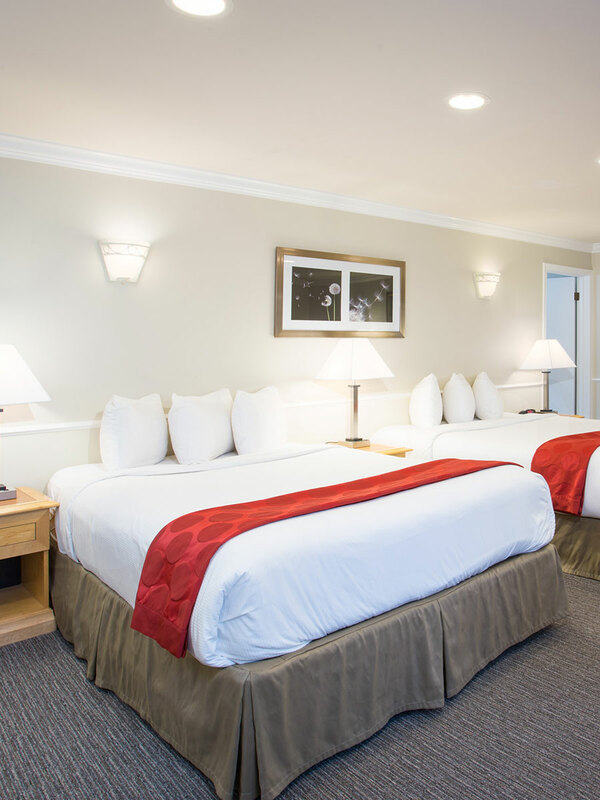 As one of Vancouver Island’s best conference and wedding hotels, our Duncan holiday hotel provides comfortable, affordable accommodation for all kinds of travelling parties. 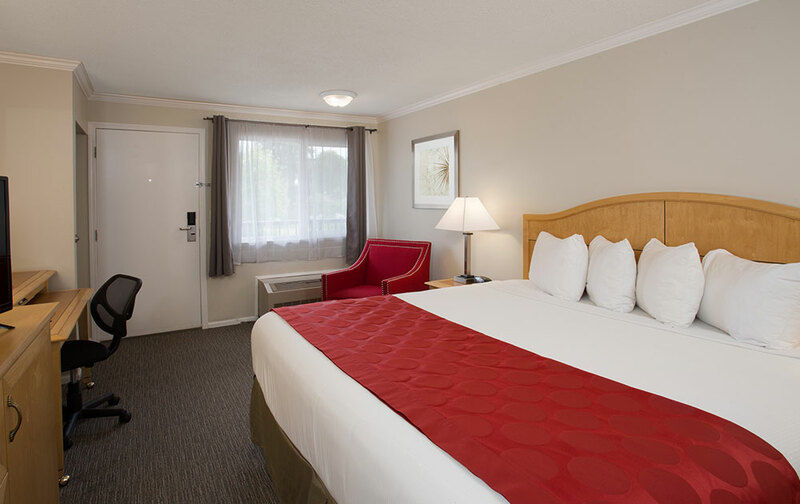 Book your room or suite online now for our best rates - we can’t wait to be the first to welcome you to Duncan, BC. Our classic Queen Room offers direct outdoor entry and plenty of space. Featuring a comfortable Queen bed, a 32” flat screen TV with HD digital cable, a work desk and chair, and high speed Wi-Fi, this tasteful space also boasts a mini-fridge, Keurig coffee maker with complimentary K-Pods and a microwave. 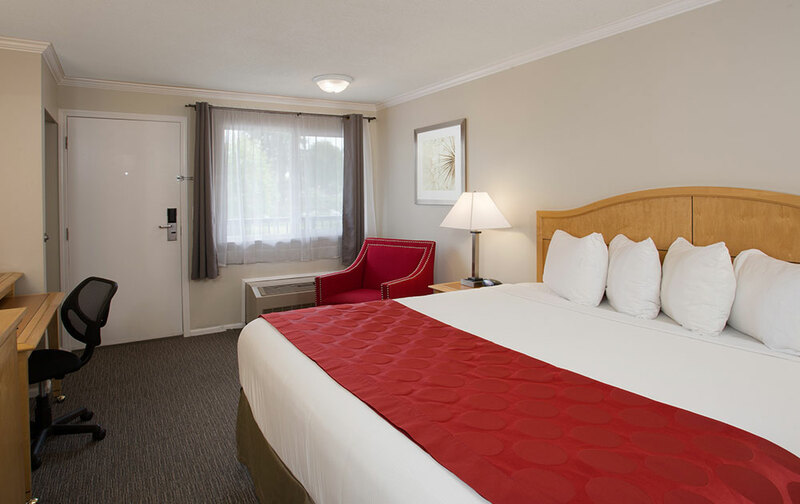 Offering plenty of space and a comfortable King bed, our classic King Room features direct outdoor entry, a 32” flatscreen TV with HD digital cable, a work desk with chair, and complimentary high speed Wi-Fi. The convenient mini-kitchen station includes a Keurig coffee maker with complimentary K-Pods, a mini-fridge and a microwave. 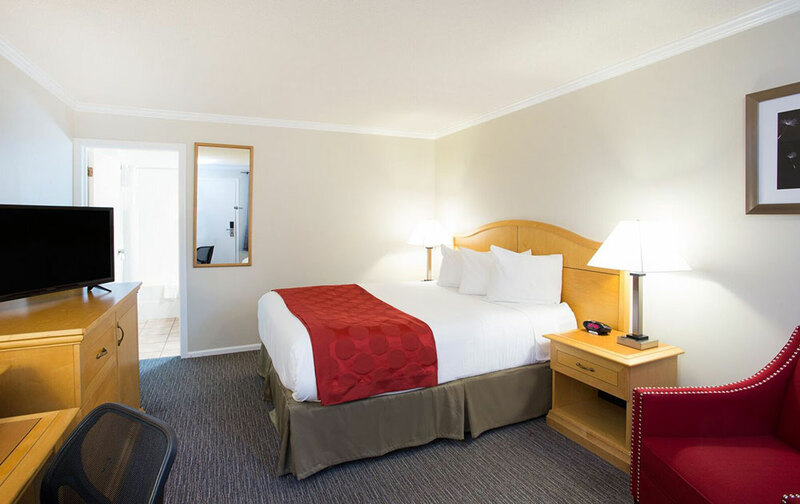 Featuring two comfortable Queen beds, this room offers direct outdoor entry as well as a 32” flat screen TV with HD digital cable, high speed complimentary Wi-Fi, and a work desk with a chair. The mini-kitchen station includes a Keurig coffee maker with complimentary K-Pods, a mini-fridge and a microwave. Pets are welcome at Ramada Duncan, with no size restrictions! We offer pet accommodations in our Standard Queen rooms, Standard King rooms, Standard Double Queen rooms and One-Bedroom Kitchen suites. Please note there is a fee of $10 per pet, per night, and pets cannot be left unattended in your room or suite. For more information or to book a pet friendly room or suite, please call us directly. Perfect for families or larger parties sharing accommodation, this spacious suite features one comfortable Queen bed in a separate bedroom and a pull-out sofa in the main living space. This space also includes a fully-equipped kitchen with a full-sized fridge, oven, stove, microwave, dishware, cookware and utensils. Additional amenities include a Keurig coffee maker with complimentary K-Pods, a 32” flat screen TV with HD digital cable and complimentary high speed Wi-Fi. 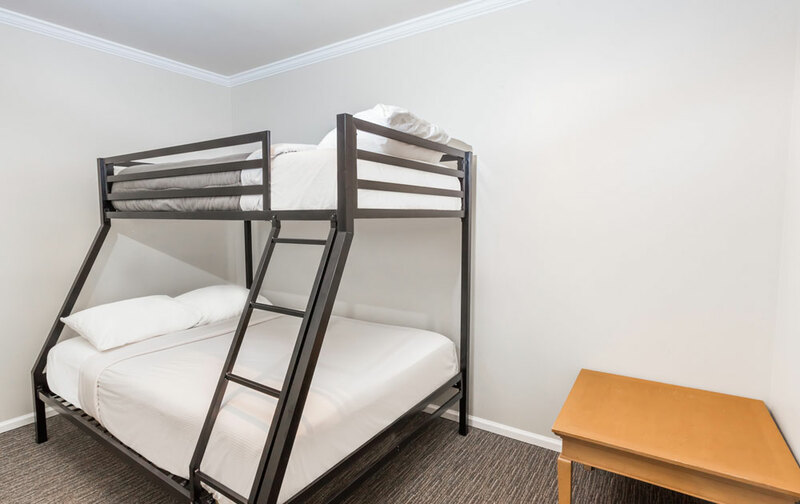 Ideal for families, this open-concept suite offers comfortable accommodation for everyone with one Queen bed and a single-over-double bunk bed. 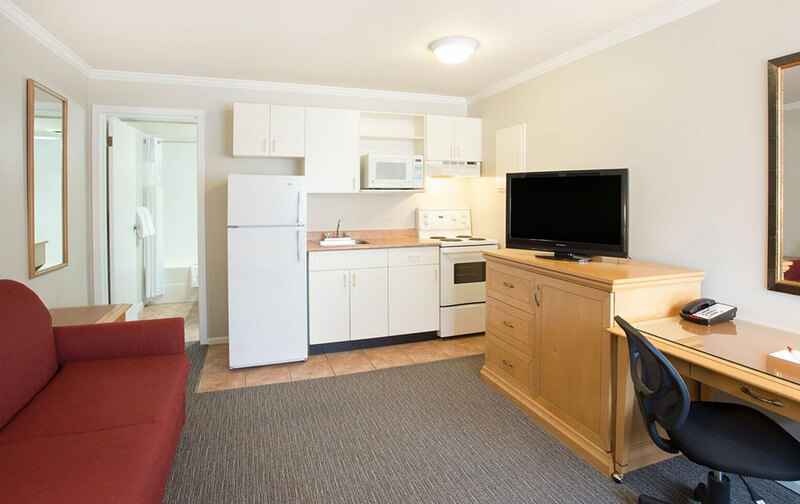 This suite features a fully-equipped kitchen with a full-size fridge, oven, stove, microwave, dishware, cookware and utensils, as well as a Keurig coffee maker with complimentary K-Pods, a 32” flat screen TV with HD digital cable, direct outdoor entry, a work desk and chair, and complimentary high speed Wi-Fi. 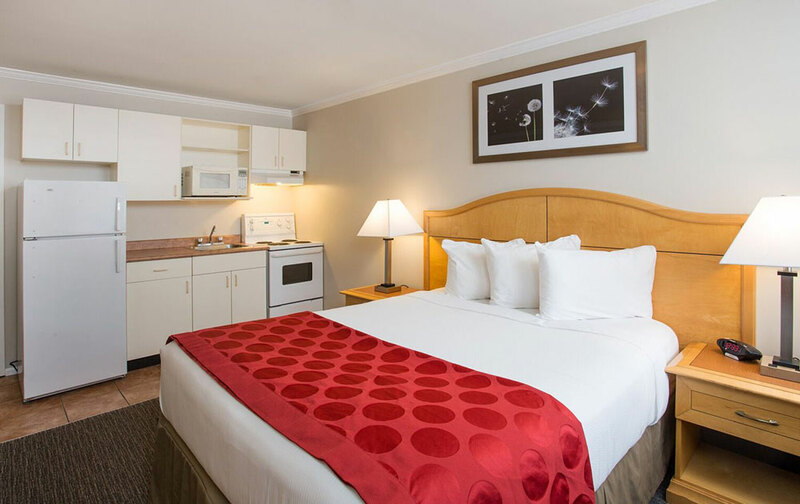 Featuring a comfortable Queen bed and a fully-equipped kitchen with a full-size fridge, oven, stove, microwave, dishware, cookware and utensils, as well as a Keurig coffee maker with complimentary K-Pods, this suite is ideal for couples or business travellers in Duncan for an extended stay. Additional amenities include a 32” flat screen TV with HD digital cable and specialty channels, a work desk and chair, direct outdoor entry and complimentary high speed Wi-Fi. This modern, spacious family suite offers comfortable accommodation for the whole family with two Queen beds and a pull-out sofa in an open-concept living space. There is an additional seating area and two sliding doors leading directly to the courtyard, as well as a kitchen nook with mini-fridge, microwave, sink and Keurig coffee maker with complimentary K-Pods. 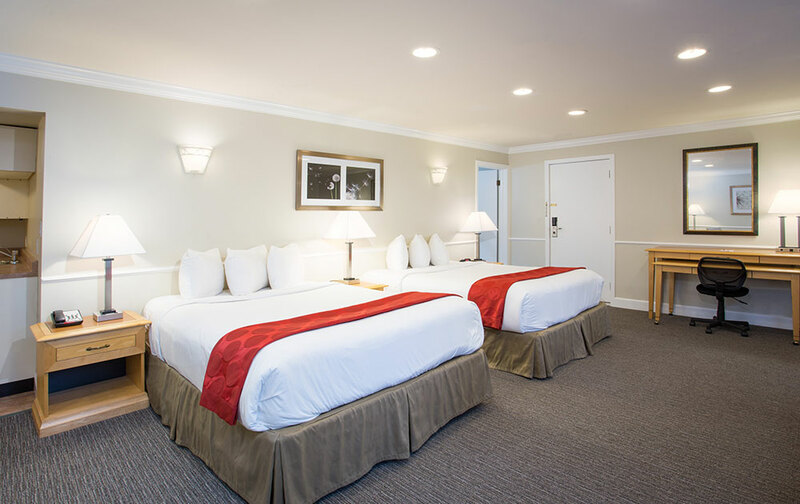 Additional suite features include a 32” flat screen TV with HD digital cable, direct outdoor entry, a work desk and chair, and complimentary high speed Wi-Fi. 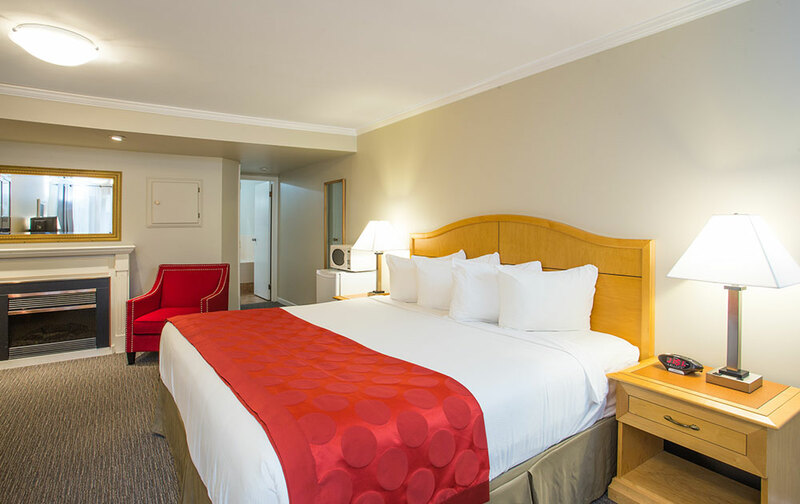 Designed with couples and business guests in mind, our spacious King Suite features a comfortable King bed, a cozy gas fireplace, an oversized soaker tub and separate walk-in shower for a relaxing hotel experience. The mini-kitchen station includes a mini-fridge, microwave and Keurig coffee maker with complimentary K-Pods. Additional suite features are a 32” flat screen TV with HD digital cable, direct outdoor entry, a work desk and chair, and complimentary high speed Wi-Fi. You are welcome to check in to your room or suite any time after 3 p.m. on the day of your scheduled arrival. Check-out time is 11 a.m. on the last day of your stay. We do offer late check-out if needed; just let the front desk staff know you need a little extra time! Book your stay online using our secure reservation system, or contact us directly at 1-888-858-2200 to book one of our hotel packages or pet-friendly accommodation. For any other hotel inquiries, call us toll-free or send us an email and we will respond as quickly as possible.